Want to buy a new smartphone? You can choose to buy from a brick and mortar store or you can shop for smartphones at online stores in Nigeria. This guide will put you through all you need to know about buying smartphones online. We hope it will help you buy your next smartphone online. Smartphones are mobile phones with advanced computing capability. If you still need to know more about smartphones you can read our how to buy a smartphone article. However as a guide any mobile phone running platforms like BlackBerry (BlackBerry Phones), Android (eg. Samsung Galaxy Phones), Windows Phone (eg. Nokia Lumia Phones), iOS (eg. iPhone 6s), Symbian/Belle (eg. Nokia 808 Pureview), Asha Touch (eg. Nokia Asha 311), Bada (eg. Samsung Wave 3), Windows Mobile, Windows 10 Mobile (e.g. 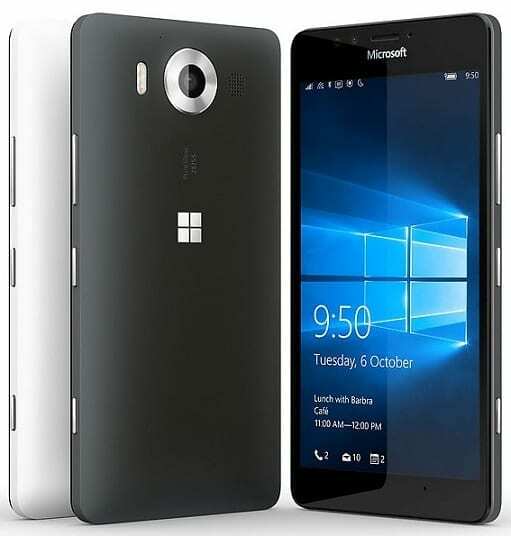 Microsoft Lumia 950)Maemo, Palm, WebOS, Ubuntu, and MeeGo (eg. Nokia N9) are regarded as smartphones. To shop online you need to know what you want. This is because if you make the wrong choice, you will receive the wrong product and returning products you bought online is not that easy. Decide the features you want, the platform, and/or brand you prefer. Online stores do not always offer all the details. For example, you may want to know whether the smartphone support micro SIM, mini SIM, or Nano SIM. The good news is that tech blogs like NaijaTechGuide hold this kinds of information that will enable you have a good idea about the product you are buying. You can also read reviews online or at the online store. I hope you did not miss that class in Economics, where we were thought that human wants are many, but resources are limited and the scale of preference bla bla bla? Well, smartphones are available in categories depending on how much you have. Flagship smartphones start at around N70,000 and offer premium experience. Mid range smartphones also have classes with the upper mid range starting at N50,000 and the lower mid-range starting at around N25,000. At the bottom of the smartphone family are the low cost, entry, budget, or cheap smartphones (a.k.a. the I Big Pass my Neighbour Smartphones). Cheap smartphones are limited in performance, but are still good introductory smartphones. Online stores usually have price filters. These price filters enable you select the price range within your budget that way only smartphones priced within that range will be displayed, saving you time. You can also select products to be listed from lowest price to highest price or vice versa. Now that you are better informed, you can now visit an online store like Jumia. If you already have a smartphone in mind simply enter the name in the search bar to see whether the product is available. If you have a particular brand in mind, you can select the brand via the product category to show all mobile phones available by that brand. If you have a budget, click on the price range that your budget falls into to reveal all mobile phones within the price range. You can go through as many options as you want until you find the smartphone you want. Select the smartphone you want. You can also check if the smartphone is available in multiple colours and choose your preferred colour. Remember if what you had in mind is a black phone and you selected a white one, what you will receive eventually is a white smartphone. Note that different colours of the same model of smartphones may be priced differently. This is usually the case with BlackBerry, but very rare with Nokia and Samsung. The smartphone may also offer different capacities of built-storage, so pay attention to that as well. Make it a habit to read the full description of the smartphone at the online store. You may also find reviews of the smartphone at the online store. Check for warranties. Do not buy if there is not at least one year warranty on the smartphone. You can visit as many online stores as possible. If you need more than one smartphone, make sure you indicate the number you want. If you want to buy more products you can click on Continue Shopping button. To pay for your smartphone, click the Confirm Order button. The first time you are shopping at any online store, you will be required to register and enter your details. Payment for online shopping can be done online using debit cards. However, Jumia offers also bank deposit and depending on your location payment on delivery. Payment on delivery is available in Lagos and Abuja. In the case of bank deposit, you order online, then you are given 2 days to make a bank deposit or the order will be cancelled. If your order is confirmed, you will receive your Smartphone within 2 to 5 days. When you receive the smartphone confirm that it is the actual brand, colour, and model you ordered. Do not open the packaging if you received the wrong smartphone. Then contact customer care of the online store for how to return the smartphone for a possible refund or replacement. If you received the right smartphone enjoy, and show it off to friends. Do not forget to head back at the online store to write a review that way you will help future buyers of the smartphone to decide whether it is good enough for their needs.